funny how a gal like Rae can finally make the leap to selling adult patterns and people immediately want to shrink it down for littles, right? well, that’s what happens when it’s SO DARN CUTE to make things in miniature. there is no washi pattern for kids, so i created one myself. and then i sewed it using the exact same methods detailed in rae’s adult washi pattern! i laid out my adult washi pattern on the floor and used it as a reference for how to shape the front skirt (with room for pleats) and to see how it related to the bodice. then i used the bodice and skirt pieces together to draft the one-piece back. i just kind of built the pattern up bit by bit like a puzzle. it was a super fun challenge that drew on every bit of my knowledge. sewing has such an amazing learning curve!! i couldn’t have made this dress even a couple months ago. the shirring in the back makes the front fit pretty darn well, but keeps it comfy for a little gal. 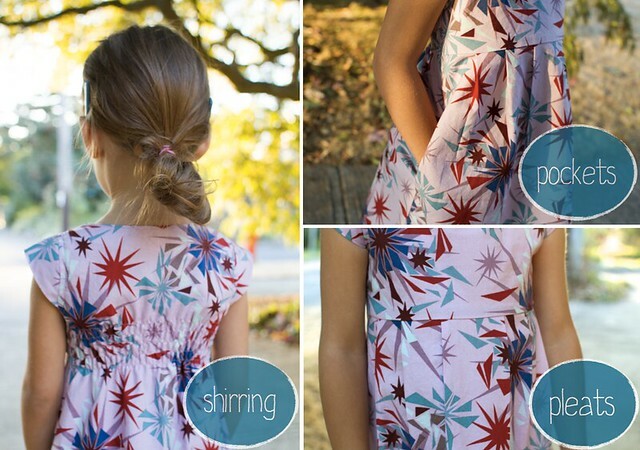 the adult version has shirring too, which is one of the things i love about it – the comfy factor is off the charts! i did have trouble getting the neckline right. my daughter’s head is proportionately large for her body. i originally made the neckline too small, and it didn’t fit over her head. i trimmed it and kept trying it on her until it fit (interrupting her afternoon leaf-painting, but she didn’t mind too much). 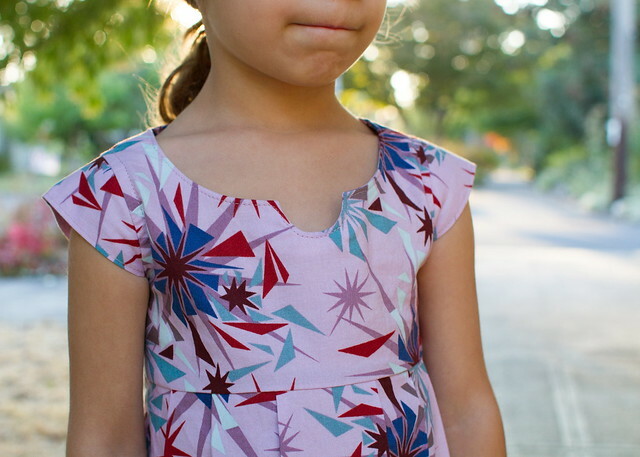 it was scary because i wanted it to pull over her head without struggle, but it was also really important that it remain appropriate for a four year old to wear and keep the look of the original washi’s neckline. 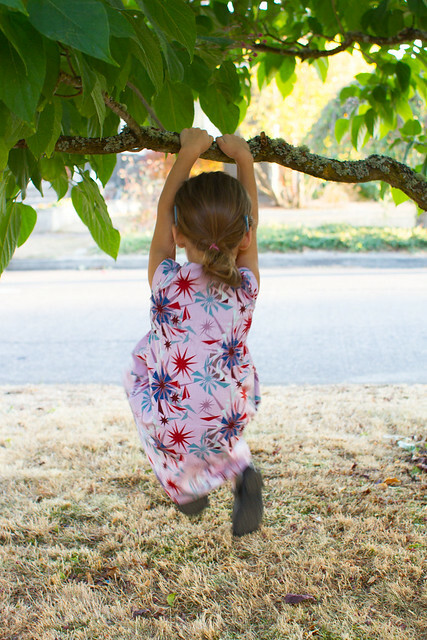 it does gape a little bit when she lifts her arms, but hey – i got pretty close for my first go! best part is, she loves it! she really does! 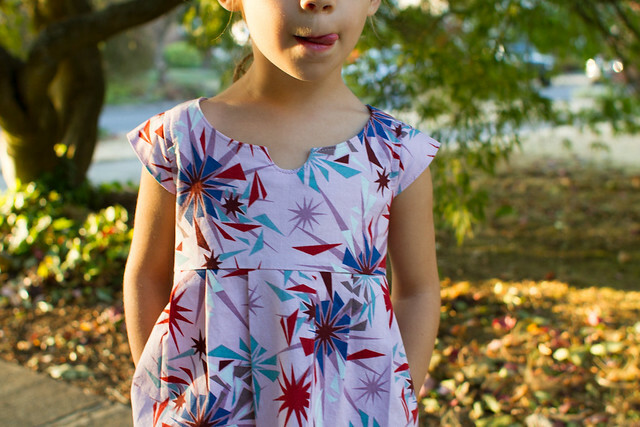 we’re calling it her “fireworks dress” (due to the anna maria horner shattered circus fabric). 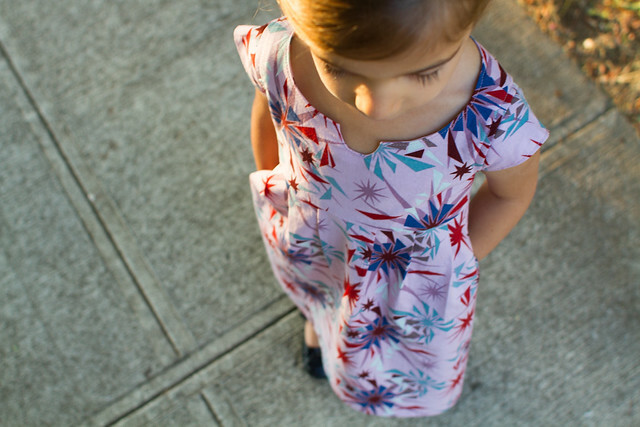 plus, who can resist a dress with pockets? not me, and not this girl either. Rae made hers in actual washi fabric, and had a different solution for the large head small child problem. here it is! Wow, I love it. The fabric is so fun and it is definitely a Mini Me Washi! Next up you’ll have to make a Washi and mini in the same fabric and wear them together! hehe. i think it’d be even harder for a 2 year old, i think – head hole wise. might want to go Rae’s route and add a back closure. Oh my gosh that is so cute!!! Nice work!! Ansley’s head is proportionally larger than her body too. That’s actually part of the reason I got into sewing. ha. Now I seriously need to figure out how to shir with my machine. Amazing job! Fireworks had also come to mind when I saw that fabric, so fun and colorful. You amaze me! The mini washi turned out beautifully! It is simply perfect. You must be very proud. wowsers, that is a gorgeous dress! dang, girl. you are good! congratulations, you’ve done a fantastic job drafting this pattern and in combination with such gorgeous job, the result is stunning! this is awesome!!! So adorable on her. And the fit is great, the fabric is great, and she looks like she enjoys it too. You’re a rockstar! You have nudged me more towards grabbing the washi pattern, yet again. Lol. thanks! haha, true. her head is average size but her body is, like, 10th percentile. at least she’s on the charts! Oh I love it! I would make one for my daughter, except then I would have to coordinate the laundry, so we didn’t both end up wearing a washi the same day! Lol. I really really really love this. And I really really want Rae to make it a pattern. oh my goodness…DYING of cute!! And I do love that you figured out all the proportions…totally great! I have a giant-headed-thing as well, so I wimped out and did a button closure in the back (pics soon! ), but I LOVE the shirring in the back. SO GREAT! Boom. EVERYONE is roasted. 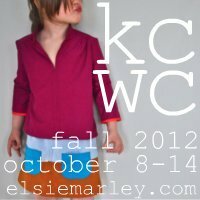 KCWC over. See ya in the spring folks. You are seriously amazing! 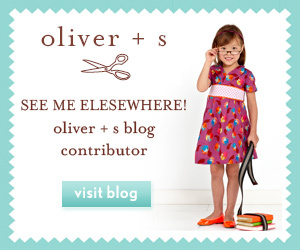 Oh I just love the mini-me look! adorable! I want to get the adult pattern one day.. 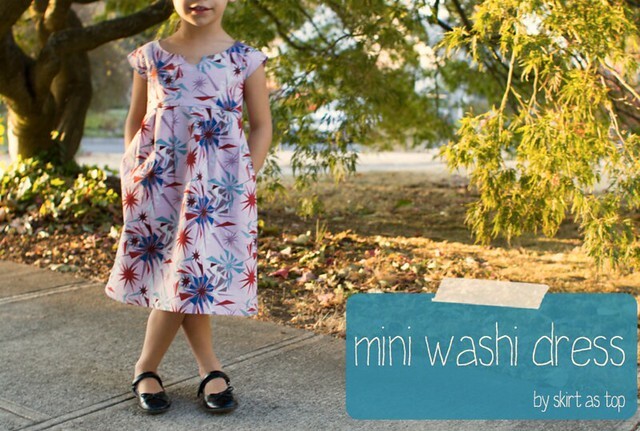 I love your mini washi dress! It looks amazing! I like what you said about sewing having such a learning curve. 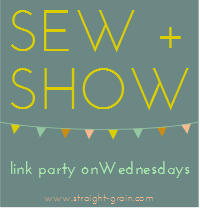 I have taught myself most of my sewing skills and am forever learning. I had a pants fail last night and while it is frustrating, you always learn from your mistakes. Every time I “grow” as a seamstress I have some misses till I learn a bit more, then I am fine till I decide to push my knowledge further! Can’t wait to see what else you make this week! You go, lady! Drafting a pattern during kcwc? amazing. It looks super cute on her. kristin, this amazing! fantastic! superb! I absolutely love it! you know, of AMH’s innocent crush line, this was one of the prints that didn’t resonate with me… but i see it here and i adore it. it’s perfect! i love the sharp geometric fireworks against the softer pink. you nailed it. thanks! i agree, actually – i bought this and it had sat in the stash for a long time without knowing what to make with it. even as i cut this dress out, i wasn’t sure if it’d work. i love it, though! huge relief. how did this not take you all week?! well…i drafted the pattern and cut out my fabric on sunday, and i had monday off work (with no kids home!) so i did spend probably 3-4 hours sewing it. i did the fitting and neckline retooling once she was home from school. 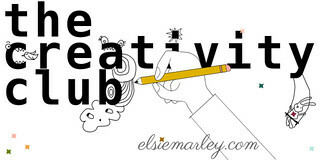 this is definitely the most involved KCWC project i will attempt this week – today’s is pajama bottoms! so excited to read she loves it too! very cute and looks like a really great fit, didn’t notice the gaping you wrote about! Nicely done! it is pretty funny about making something for kids and immediately wanting to upsize and then making something for adults and immediately wanting to downsize. Nice when the fashions cross generations that way! 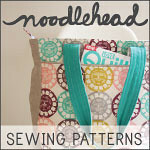 this pattern especially has the perfect whimsical design to work for both, i think! makes it fun. 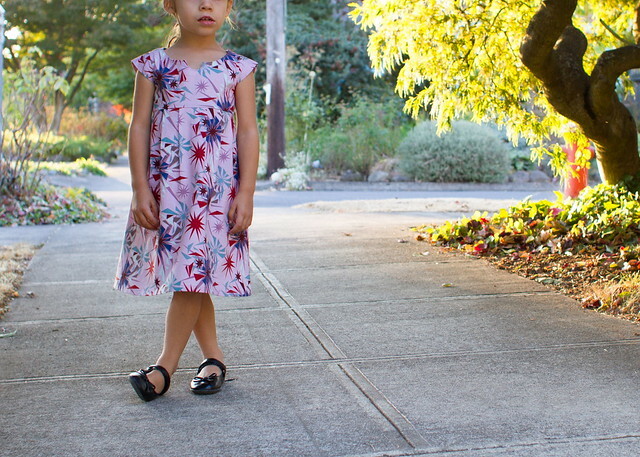 there are definitely kid patterns i wish i could upsize, too!! So cute! You did a fantastic job downsizing that pattern! 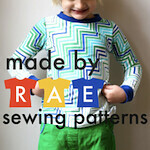 I thought Rae had made a mini pattern, you rule! And I love that fabric! This could be the cutest thing I’ve seen in awhile. What an inspiring project! I’ve been following your blog for like a year…ish but I don’t think I’ve ever commented before now. (Selfish reader, I know.) But I love everything you create and always want to sew after I see your latest project. Thanks for sharing and inspiring! LOVE!!! I don’t think I am talented enough to shrink the dress down for my girls. I really want to try it though. I love this. LOVE love love love love this. Did I mention I love it? gah! It’s precious! I’m so impressed with your pattern-making skills. You totally nailed it. I love this! 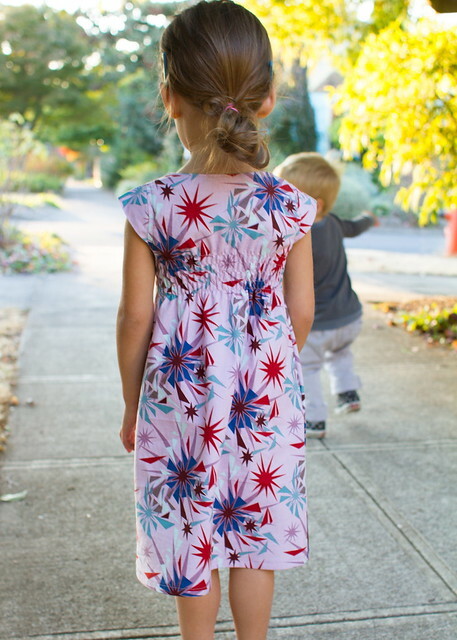 You did a great job mimicking the original washi dress, and I really like the fabric paired with this pattern. Oh, goodness, it’s gorgeous! You did an amazing, amazing job with this one! So my Pinterest practically EXPLODED with this before I got a chance to see it on my Google Reader (I am woefully behind in reading my blogs! ), so I saw it coming from a virtual mile away, but oh, my, it is PERFECT. Well done, Kristin. This is AMAZING!! You are AMAZING!!! That’s all I can say. Azriella talks about her girl Applejack, nonstop, lol. She says she love her girl and wonders what she is doing from time to time. She is always anticipating seeing her again! Those two are definitely two peas in a pod! This is adorable, and yes, after I made my first Washi, I thought I would try to make one for my 3 year old (I just haven’t had time to try yet). I also thought that Project Run and Play would make one of their challenges a Washi dress remix challenge, but that didn’t happen (yet)! I hope Rae does come out with a mini version!